These new molds of blue glass euro dropper bottles come in a bold, vibrant color, and are compatible with a variety of 18 mm caps. These bottles are durable, stylish, and available in several sizes to assist in packaging an array of products. 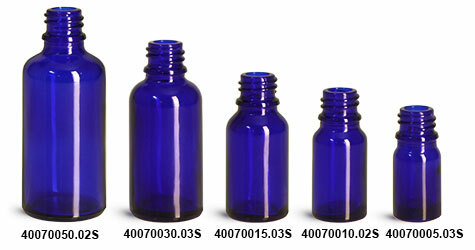 Choose the add-on options to purchase caps, shrink bands, and labels to pair with these blue glass euro dropper bottles today! Learn about these NEW blue glass bottles here!